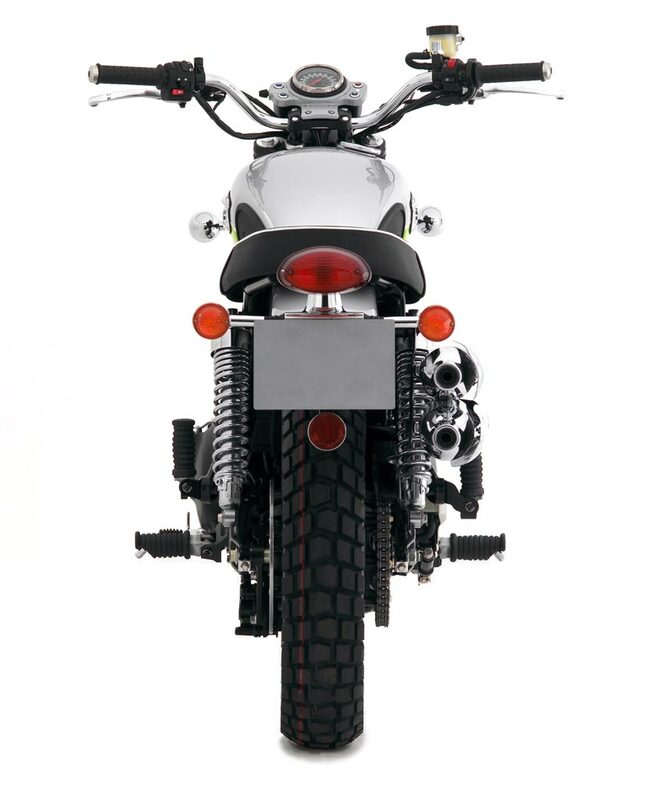 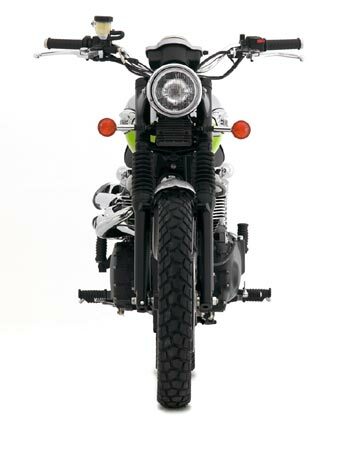 The Scrambler is a redefinition of the off-road machines made famous by 60’s thrill seekers such as Steve McQueen. Very few motorcycles can claim to be unique but the Scrambler, thanks to its authentic styling, is most certainly one of them. The flat seat, small headlight and single, round-faced speedometer mark its difference, likewise the pair of high-level exhaust pipes, each wearing an evocative heat shield. The Scrambler’s 865cc, DOHC, parallel twin-cylinder, eight-valve, air-cooled engine uses a 270° crank firing interval for a characterful and torquey power delivery. 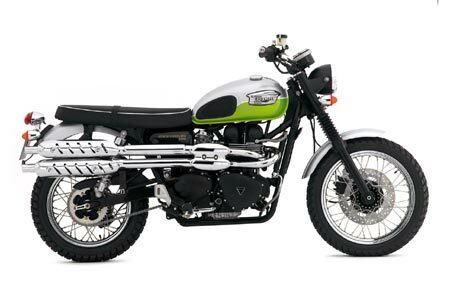 Using a strong tubular steel cradle frame and supple suspension front and rear – 41mm telescopic forks and twin chromed spring preload-adjustable rear shocks – the Scrambler is built tough, to iron out the bumps. Fittingly for such an individual machine, a whole range of Triumph factory accessories are available for the Scrambler, all of which enhance its looks as well as adding functionality. They include a bash plate to protect the underneath of the engine, headlamp grille, number boards for the sides, tachometer, handlebar brace and a single seat and rack. The Scrambler has a distinct look, feel and personality all its own. It offers iconic style, genuine usability. 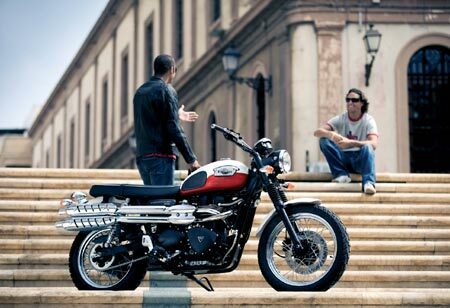 You get on some bikes and you feel like you’re on public transport. You get on a Scrambler, you feel like you’re on holiday. 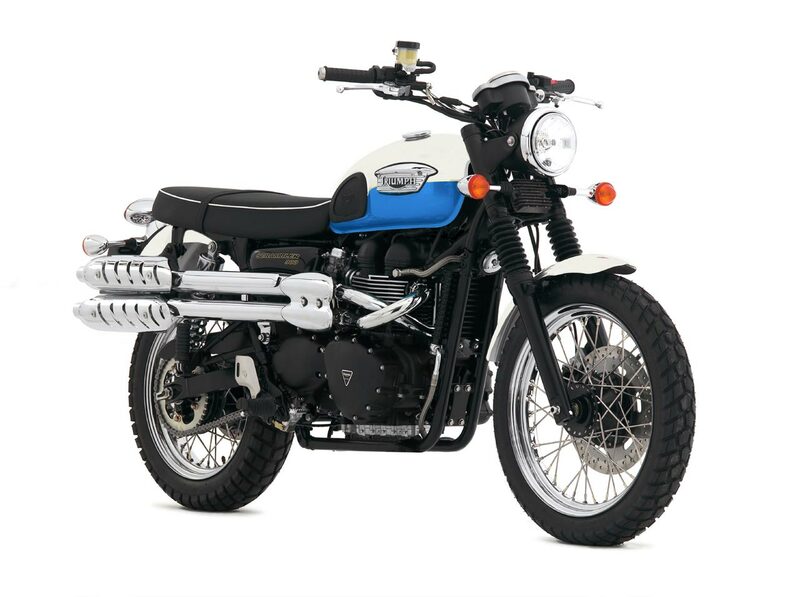 Why not visit your dealer for a test ride? 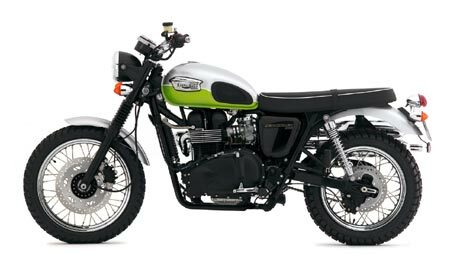 The Scrambler has added a completely new twist to the Modern Classics range and is a fresh take on some iconic bikes from Triumph’s past. It’s a redefinition of the off-road machines made famous by 60’s thrill seekers such as Steve McQueen and places many elements of their robust, dual-purpose style into a contemporary urban context. 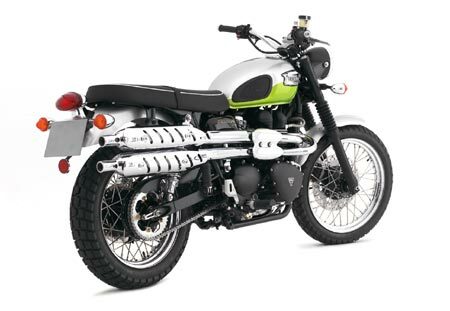 For 2007, the Scrambler has black engine including covers and a new Roulette Green and Aluminium Silver paint scheme.